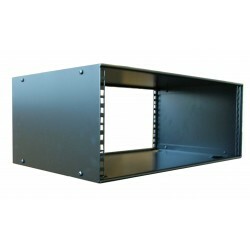 4U, 19" rack cabinet case with flat top, Front and Rear fixings with 20 cage nuts, washers and screws provided. 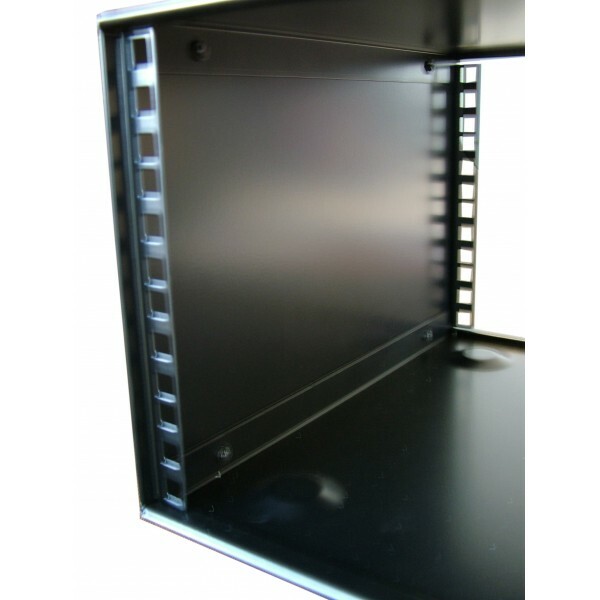 This box has 4U standard 19" profiles at the front and the back. 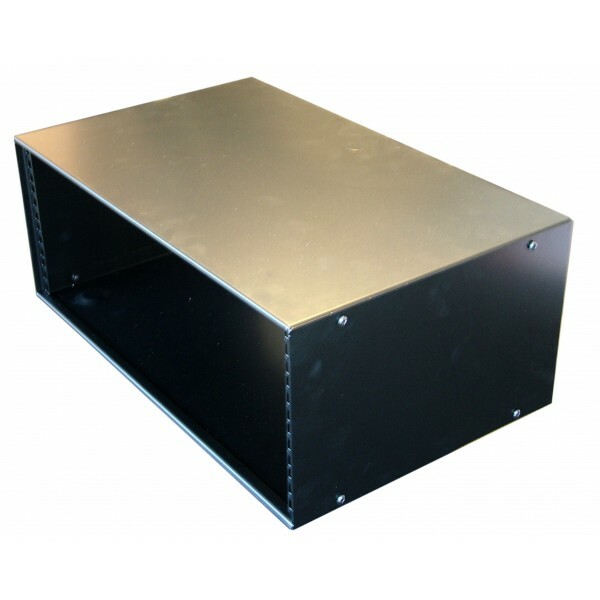 The box is made from strong and durable 1.2mm Zintec material, then powder coat black. 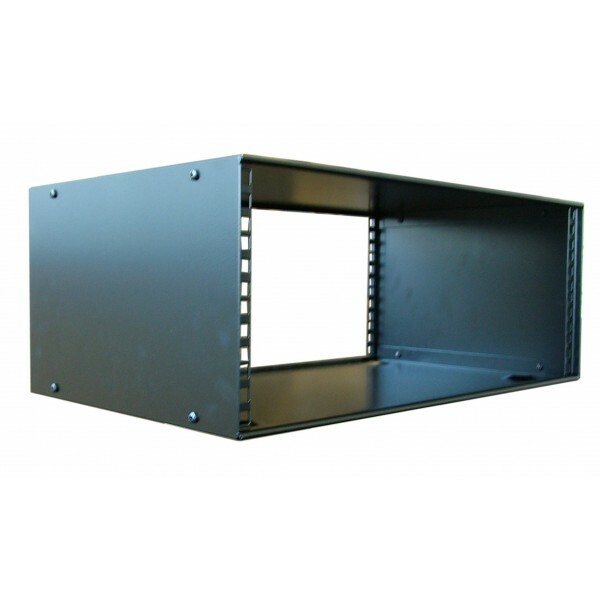 It is supplied in flat pack form and comprises of four pieces, one top, one bottom and two sides, the whole thing is easily assembled with the screws and Allen key supplied.